Robert Nichol & sons is a small multidisciplinary firm formed from a background of Fine Art, Architecture and Design. The principals of the firm range in age and experience but are bound together by the basic goal of creativity – we like to explore innovations in form, material and styles, and seek to promote design that is respectful of sites and beneficial to the wider community. We offer a broad range of design services incorporating conceptual and documentations across architecture, interior design, and landscape architecture. Our experience encompasses a variety of stakeholders and project sizes, which includes bespoke residential, medium density, masterplanning, residential sub-divisions and extensions as well as branding and marketing packages. Our services are tailored to our client’s needs. Robert Nichol & sons provide services ranging from concept design, full documentation, interior design, styling, landscape design and marketing packages. The two principals, Brett Robertson and David Nicholson, actively take a diverse artistic approach to the design process. Tim Milton founded Milton Architecture to provide an approachable, professional and collaborative service for his clients. He combines stunning contemporary interior and exterior design with an expert knowledge of the building process. He finds inspirations for his designs in contrasting textures and materials combined with a playful use of basic geometry. 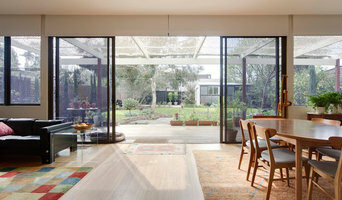 Calibre Architects is a Melbourne based Design Practice with focus on Architecture, Interiors, and Landscape Design. Our Projects range from Residential, to Retail Spaces & Hospitality. We thrive on creating bespoke spaces for our clients that are both unique, layered and textured. We are passionate about all facets of design and like to present our clients with concepts that are innovative, exciting & engaging with its own unique fingerprint of design. Pushing the envelope with creative solutions is our expertise. We look forward to collaborating with you on your next project. At Centrum Architects we love to make you feel good about your home by creating thoughtful, responsive and innovative architectural design full of meaning, memory and delight. We collaborate with you to discover the key that unlocks the combined potential of environment, brief and site to create a unique home that suits your needs, style and budget. As such our portfolio of works is quite varied – the solutions are always individual in response to the challenges of each particular project. 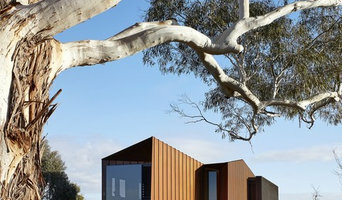 Content studio is the Melbourne-based practice of architect and designer Mat Foley. Content interprets a client’s brief, aspirations and culture, translating it into design for public, commercial, and residential projects. Content works seamlessly across the disciplines of architecture, interior design and spatial graphics. Observation and research into a client’s program, relationships, and site begins a discussion which leads to the process of design. Content designs a stage for the successful performance of a client’s roles and activities. 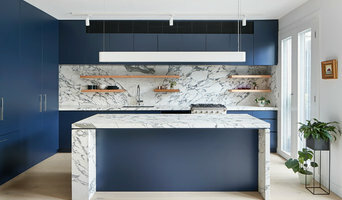 Matt Gibson Architecture + Design Pty Ltd is a Melbourne based design practice that provides architectural, interior, landscape and strategic design services. The work of Matt Gibson Architecture + Design is based upon a solid foundation of design excellence, including budget and programme control, proficient project management and the achievement of best value and architectural quality. Matt Gibson Architecture + Design is rapidly growing a reputation as one of Australia’s best architectural & interior design practices featuring regularly in local and international design publications. The practice has received a number of awards including recently being shortlisted for World awards for projects the ‘Kooyong Residence’ 2012 and the ‘Oscar &Wild’ fashion retail store 2013 at WAN & WAF Awards respectively. MGA+D has won awards over several categories including residential, corporate and retail from the Design Institute of Australia and the Australian Institute of Architects. The office received numerous other awards recently from the Retail Design Institute 2012, the Australian Timber Design Council 2011, Dulux Colour Award 2012, Melbourne Design Award 2012 and the 2011 Belle House of the Year. In 2009 MGA+D won the World Award for Retail Design presented in Dubai by the International Federation of Interior Designers & in 2005 the inaugural award for Australia’s Best Emerging Practice from the Design Institute of Australia. Matt Gibson Architecture + Design has produced numerous projects within the residential and retail sectors yet prides itself on being able to provide rigorously generated design solutions within a wide variety of project types and scales. The practice’s growth has been based on promoting the principles of innovation and collaboration whilst truly fusing the disciplines of interior design and architecture within a medium sized practice. MGA+D is interested in spaces that address the primal experiential nature in people, through basic attractions to light, material and patterns of movement. This involves a commitment and close attention to the detailing of scale, surface, threshold and junction and the rigorous exploration of the zones between what has come before and what is new. MGA+D’s Collingwood office is made up of a group of 12 talented architects & designers ever expanding to meet the need of the larger scale projects it acquires. The practice, formed in 2009, is a dedicated design-intensive studio backed by 16+ years of industry experience, specialising in distinctive residential projects. Led by Architect Zoë Geyer, the studio produces highly crafted architecture which is both practical and individual. ZGA's projects have a refined simplicity with careful consideration to the sculpting of space, use of natural light, texture, materiality, and playfulness. Site work is characterised by lateral problem-solving, working in close collaboration with craftsmen, combined with thorough and efficient contract administration, cost and time monitoring. As sustainability is an integral part of today's living, ZGA encourages passive design, recycled and carefully sourced materials, rainwater collection, greywater recycling, solar power, and economy of building footprint: intelligent design can come in many sizes. ZGA works across diverse scales and types of projects, and approaches all with equal rigour and consideration, whether commercial, retail, hospitality, residential or interior. Uncompromised quality to create inspiring environments. 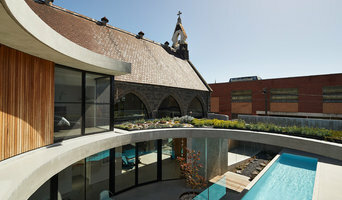 BENT Architecture is an innovative design practice based in the inner-Melbourne suburb of Brunswick. The practice is led by Directors Paul and Merran Porjazoski. Since its establishment in 2003, BENT Architecture has completed a diverse range of projects which have been locally and internationally awarded, published and exhibited. The practice has won two open design competitions (‘Growing Up’ Green Roof and ‘Living Places’ public housing, both constructed) and has established itself as leaders in all aspects of residential design, environmentally sustainable low-cost housing, commercial and institutional refurbishments and green roof design. Whatever luxury means to you, that’s what V Three Architecture brings to life. With an architectural philosophy founded on three key concepts – Fresh ideas, beautiful Form, and everyday Function – we create dynamic new homes and renovations that transform your lifestyle.